Check the structural integrity of the roof to ensure that it is strong enough to support the weight of the roof liners, soil, plants and water. 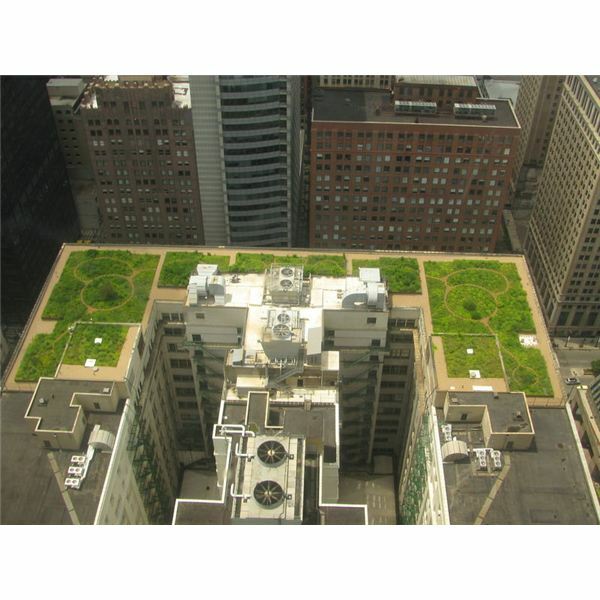 The University of Wisconsin Milwaukee estimates a green roof that supports lighter plants such as prarie flowers requires a soil depth of "1 to 6 inches and weight load of 15 to 50 pounds per square foot," whereas a green roof that supports heavier plants such as shrubs and even trees requires a soil depth of "6 to 24 inches (or more) and weight load of 80 to 150 pounds per square foot." The best way to test the structural integrity is to hire a licensed structural engineer or architect who can examine and determine the roof's weight-bearing capacity. In addition, a structural engineer or architect can suggest repairs or alterations to strengthen the roof and make it structurally sound and waterproof, as well as advise you and guide you through the process of obtaining any permits required by your city to build a green roof. 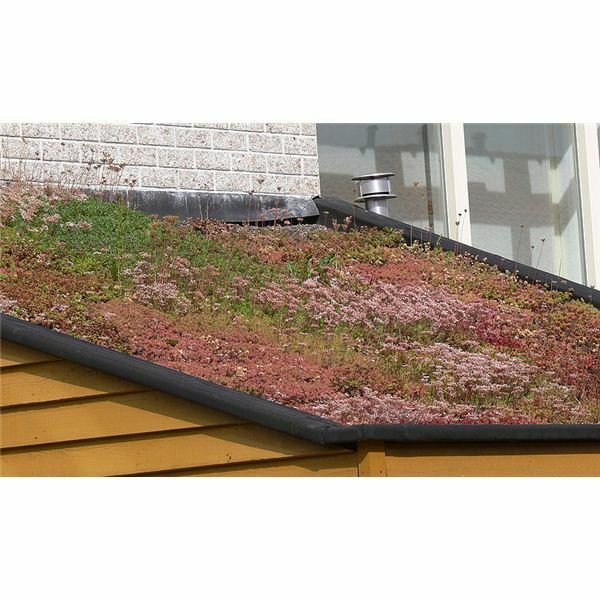 The climate in your area and the plants you decide to include on your green roof will determine if you need to install an irrigation system. If you design a low-maintenance green roof that consists of plants native to your area, which can survive solely on natural rainfall, an irrigation system is not necessary. Plants that require more water than the natural rainfall in your area provides will need an irrigation system. You can install the irrigation system yourself if you know how or hire a landscaper to do it. Build a border around the edges of the roof to contain the soil. This is especially important to do if you have a slanted roof. The easiest way to make a border is to build a wood wall around the edges of the roof. Use wood that is slightly taller than the depth of soil you intend to place on the green roof and secure the wood in place using a roofing staple gun. You need to waterproof the roof to prevent water from damaging the roof structure, which could allow leaks into the building. Waterproofing your green roof is a two step process, which includes a painted-on waterproof coating and a rooftop liner. Paint or spray gun on a waterproof roof coating onto your roof. Waterproof roof coatings are available for purchase at most building supply stores. Wait 24 hours to allow the roof coating to dry before installing the rooftop liner. Pond liners work well as waterproof rooftop liners and can be purchased at home building supply or landscaping stores. Purchase a large enough pond liner or multiple pond liners to cover the entire green roof. Attach the pond liner over the entire surface of the roof, using a roofing staple gun to hold the liner in place. Overlap the pond liners–if more than one is used–by a few inches to prevent water from seeping into the seams. Staple along the seam edges every few inches. Cut excess pond liner to fit the roof, using a utility knife. Spread soil over evenly over the pond liner at the depth the plants you are using require. Spread a 1-inch layer of gravel evenly over the soil for drainage. Plant grasses, flowers, bushes, herbs, or even trees–if your roof can support the weight–into your new green roof garden. This article gives you basic instructions on how to build a green roof. Always follow safe building practices to avoid injuries. 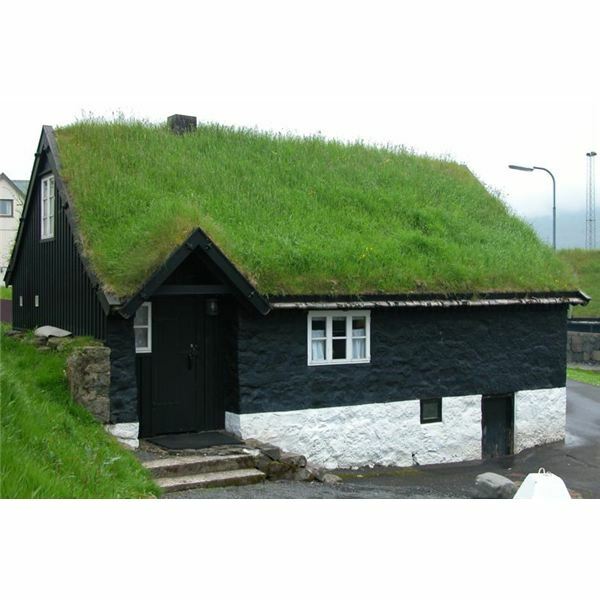 Due to variances in roof structures, it is wise to consult with a professional when building a green roof.